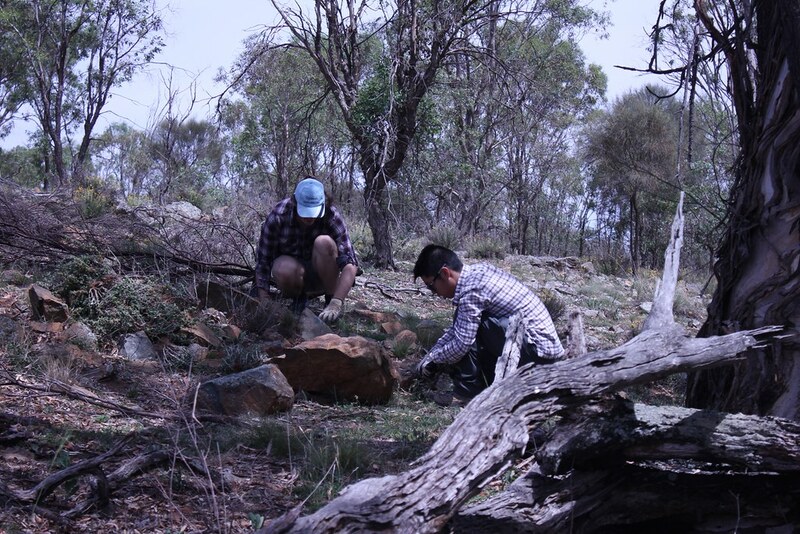 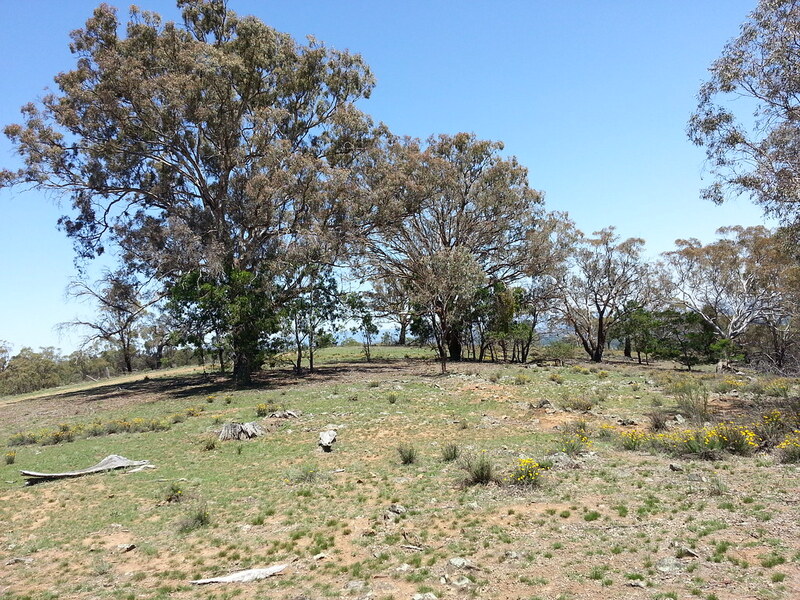 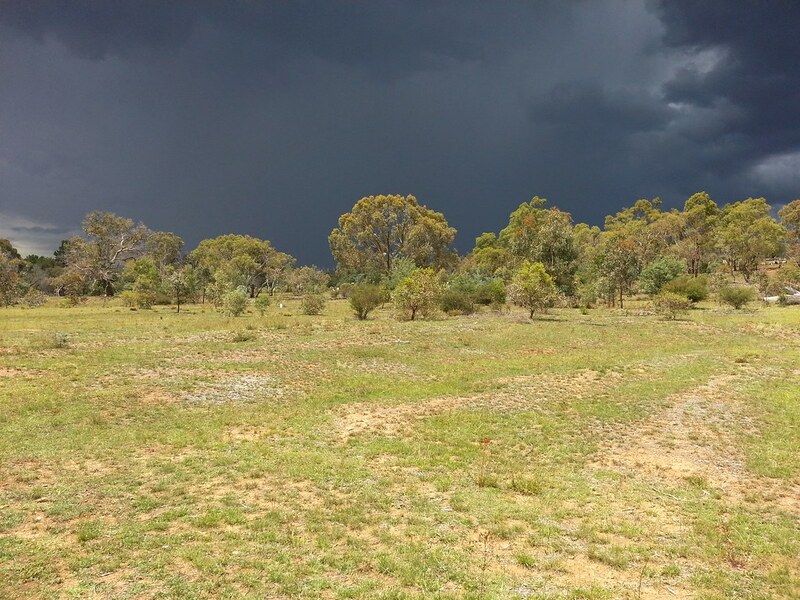 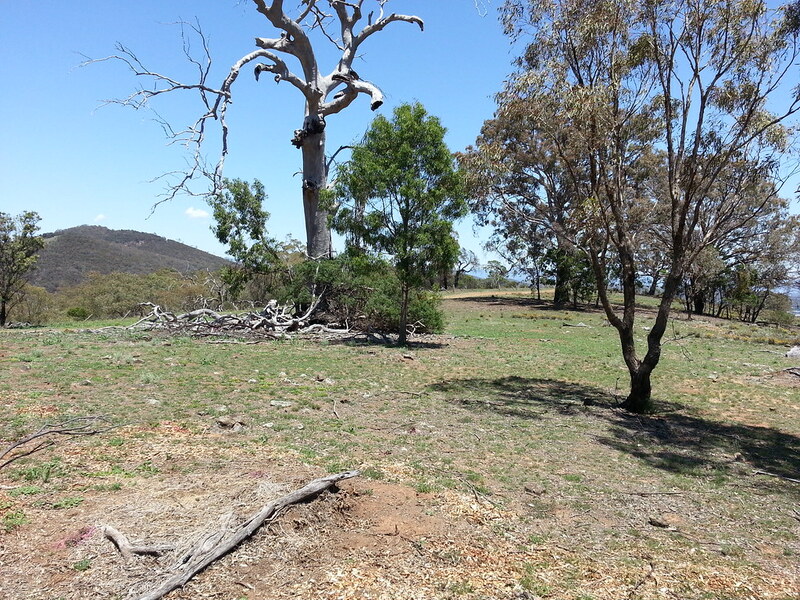 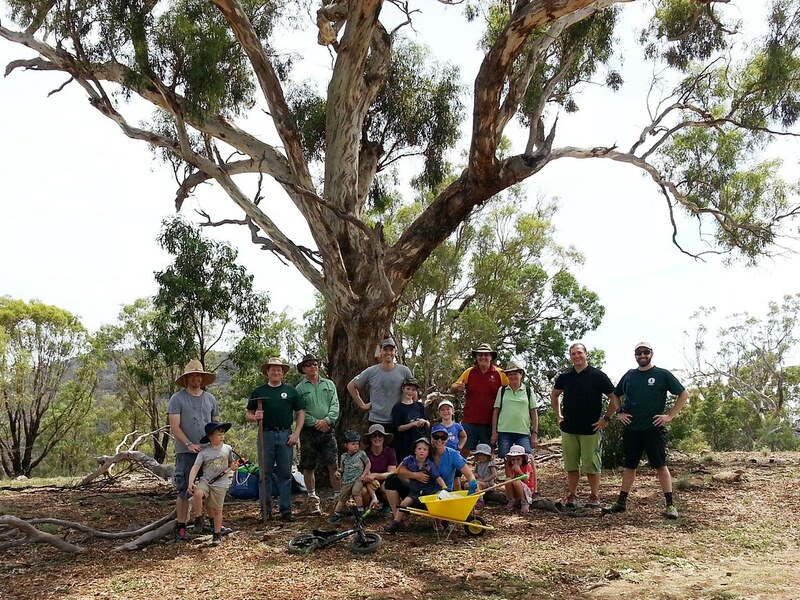 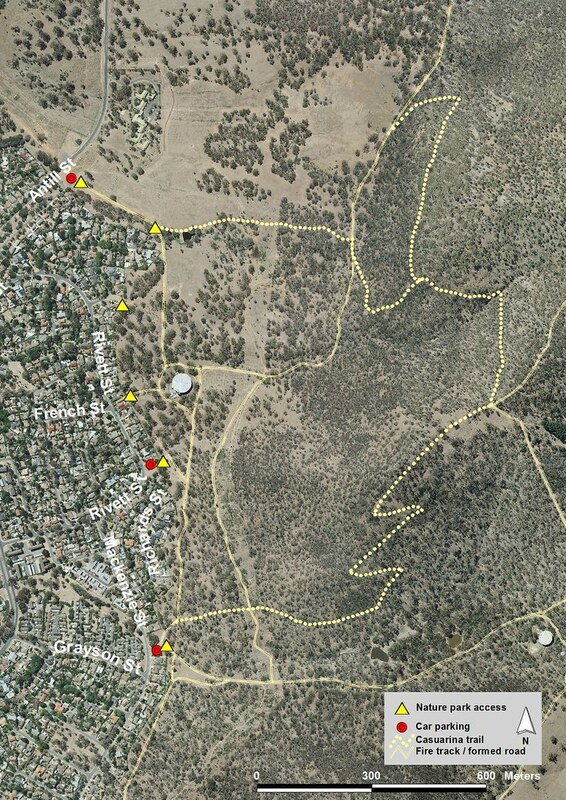 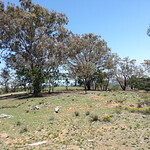 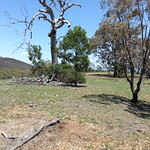 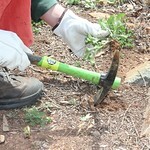 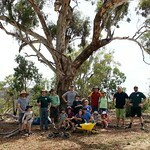 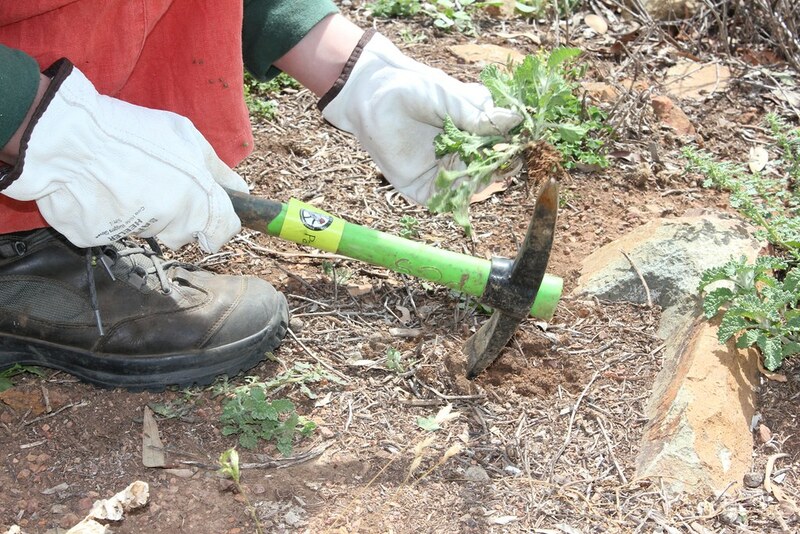 Come along and give a hand at Friends of Mt Majura Spring working party on Sunday, 16th September. 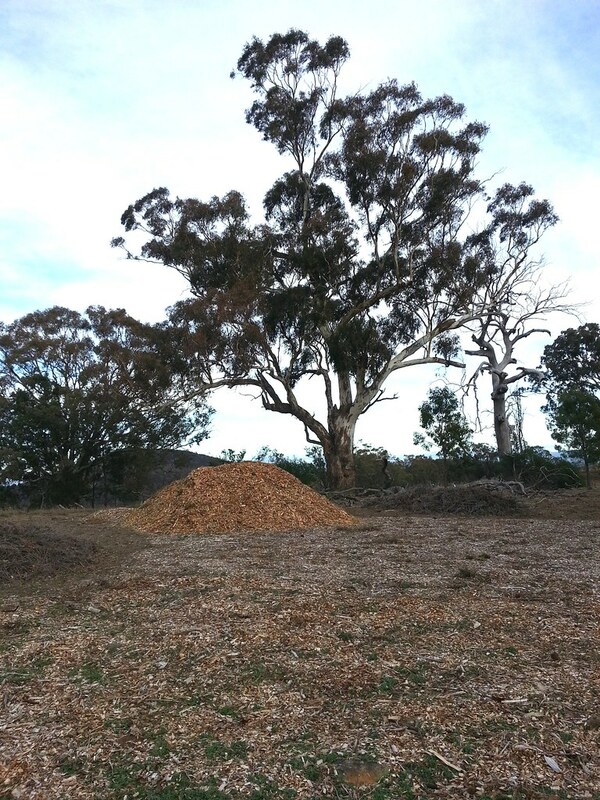 Choose your pet activity: Help tackle Paterson’s Curse, place Cootamundra Wattles debris around the National Tree Day plantings or spread wood chip mulch across bare ground. 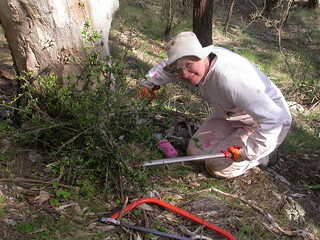 When: Sunday 16 September from 9am to 1pm; come when it suits you and give as much time as you like. 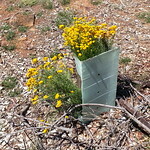 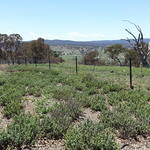 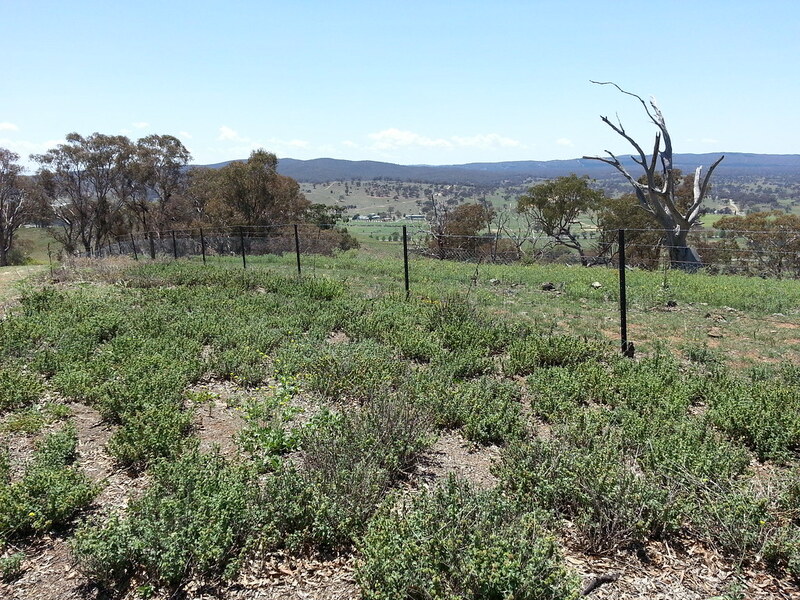 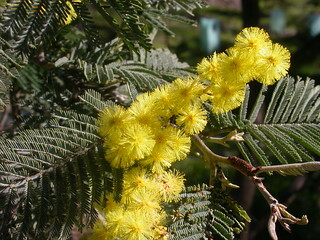 Silverwattle grazed up to 150cm off ground. 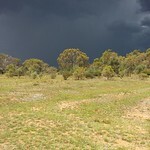 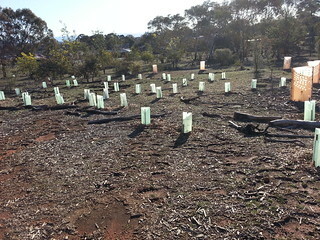 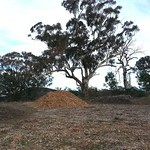 Mulching is an effective rehabilitation measure that improves the survival of plants and the general health of a site degraded by weeds, soil compaction and erosion: Woody debris placed around young plants limits access by kangaroo and reduces grazing pressure; wood chip mulch placed in “donut fashion” around young plants helps to suppress weeds, reduces evaporation and retains soil moisture; placing coarse debris and spreading wood chips across bare ground minimises erosion. 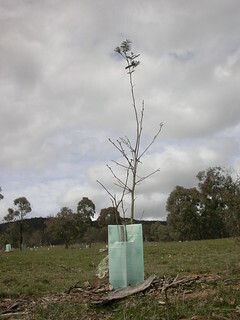 Young plants waiting for debris. 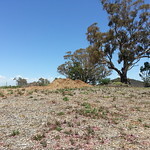 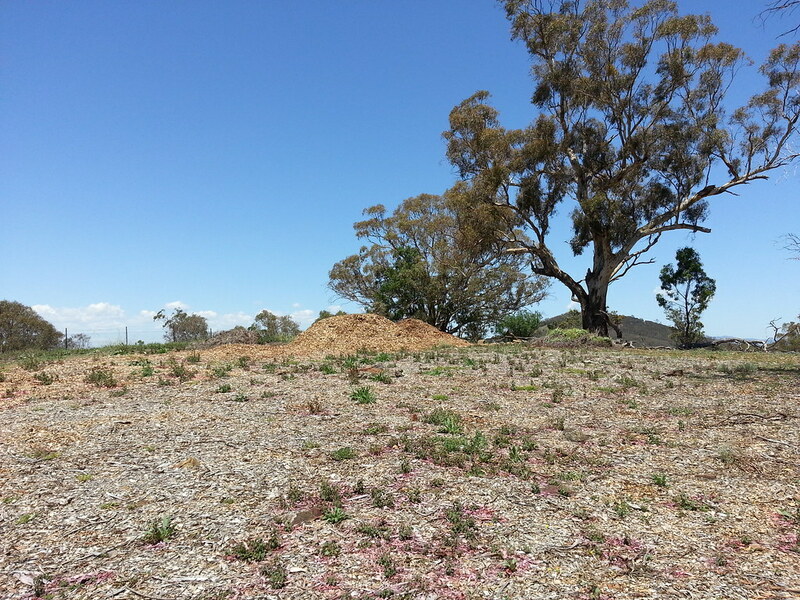 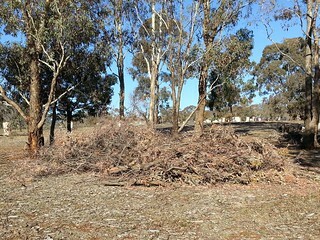 Cootamundra wattle debris waiting to be used for mulching. 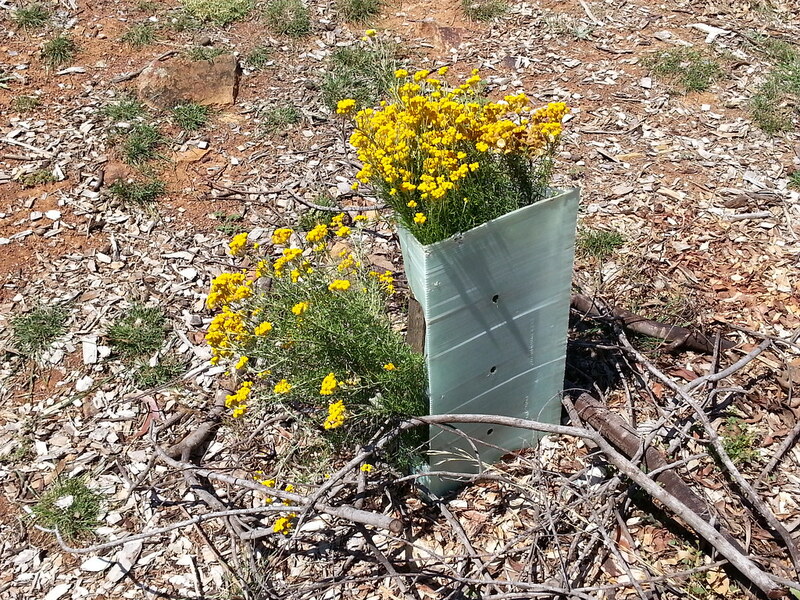 Paterson’s Curse – along with St John’s Wort – was the most common herbaceous weed at The Fair project site before FoMM started treatment in Spring 2012. 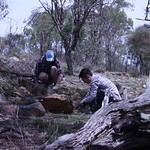 It is now scattered in small numbers across the area and we hope that it will become a rare plant species within a couple of years.